Do I Have Responsibilities for My Husband's Debt? Make plans to keep your husband's debt from becoming your obligation. That “for richer or for poorer” part of wedding vows might sound very romantic when you’re reciting it at the altar. Once you and your husband begin marrying your finances, the luster can wear off quickly, particularly when creditors become involved in the equation. Nobody wants to discover they married someone with a problem managing his debt. Although you may have bound yourself to your husband’s debts when you said, “I do,” you can legally dodge those obligations in many situations. First, the bad news: If you live in Arizona, California, Idaho, Louisiana, Nevada, New Mexico, Texas, Washington or Wisconsin, you live in a communal-property state. Couples married in these states completely and irrevocably intermingle their financial dealings when they slip on their wedding bands. Any debt your husband wracked up before you were hitched is now communal property and your responsibility too. Likewise, any debts you incur individually while married are both of your responsibility. Need a silver lining? Community property rules also state that all that stuff your hubby bought before you wed is now partially yours, so consider yourself the proud, part-owner of a collection of ’80s X-Men comics or neon beer signs. So long as you don’t live in a community-property state, you have some wiggle room. Especially with debts your husband rang up before you were married. Old credit card bills, notes on clunker cars and his student debt are, strictly speaking, his business alone. While it might not be the most wife-like thing to let him sort out his pre-marriage financial tangle along, rest assured that debt collectors won’t be able to garnish your wages or place liens against your car – unless your dude’s name is on the title – as a way to coerce you into covering debts from ancient times. If you live in a communal property state, you may also not be legally held responsible for your husband’s credit card debt. If you’re named on the card’s account and you signed card applications, all charges on the card are both of your responsibility, even if you never use the card. 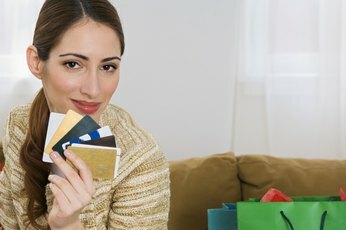 If you’re not named on the card’s account but are allowed to make charges, you’re an authorized user, or vice versa if your husband uses your card. Authorized users aren’t responsible for debts they incur on another’s credit card. 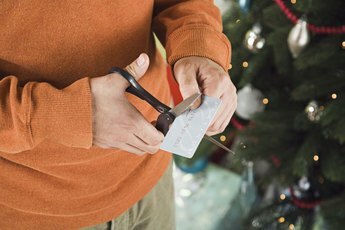 Debt collectors can only start hounding the person named on the card, regardless of who made the purchases on it. If you’re married to a guy with severe debt issues, merely ignoring it isn’t going to make those problems go away. While it’s unwise to comingle your debts – the process brings down your credit score to his level in many cases – it’s probably a good idea to sit down with your husband and sort out a plan to get to the bottom of his debt, writes Erin Burt of Kiplinger.com. Develop a plan to structure your joint finances so he can chip away at that debt, and you won’t be worrying about these problems on your golden anniversary. Bankrate: Will My Debts Haunt My Husband After I File? AARP: Debts After Death - Are You Responsible For a Relative's Unpaid Bills? Bankrate: Is Wife Liable for Deceased Husband's Debt?